The first thing I have to say, though has nothing to do with the product so much. 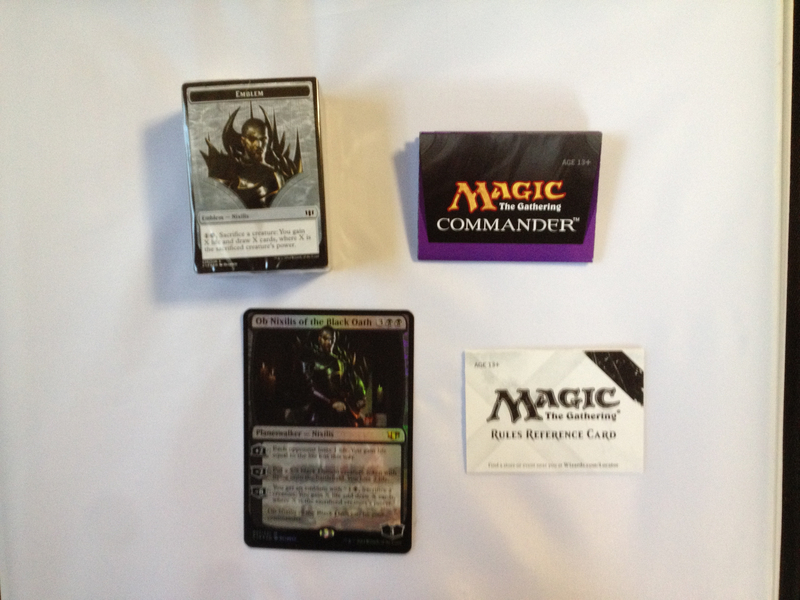 Commander 2014 costs more than 2013. $5 to $10 more. I think when you see this review, you will see where that value is. A nice package. I finally learned… (five decks later! )…That it is best to OPEN FROM THE BOTTOM! 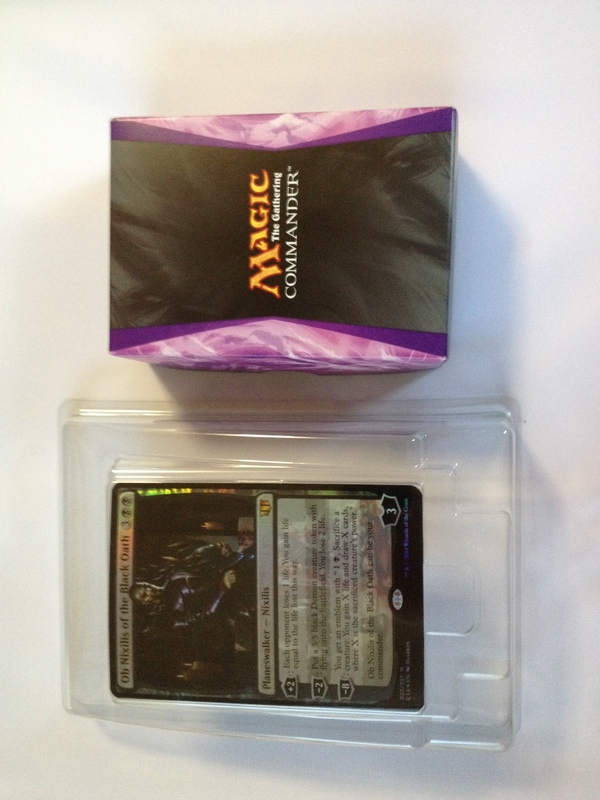 Anyways, the package shows the oversized “Ob Nixilis, of the Black Oath” card, with flavorful purple styling complimenting the black shadows. The yellow burst says that there are 15 brand new cards in this set. 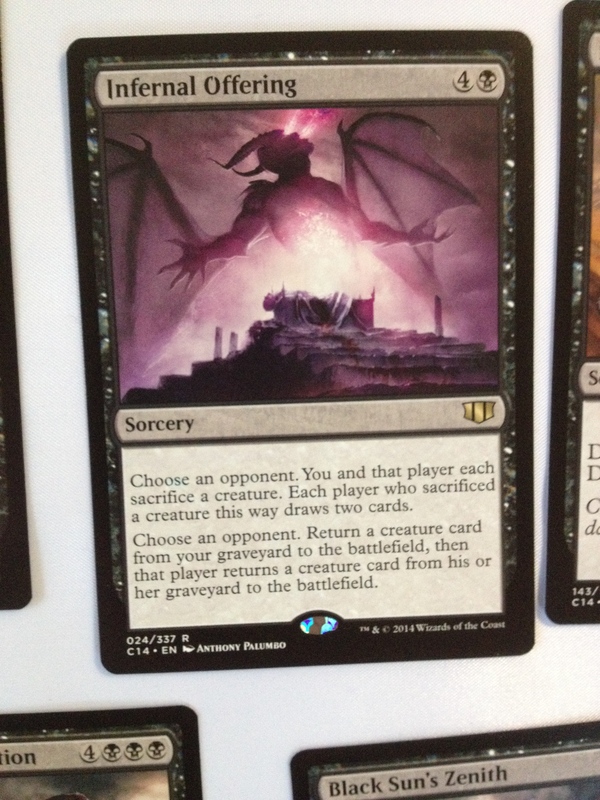 It also says that there is a 100 card deck meant for multiplayer formats. The backside of the deck shows Ob Nixilis again, along with five amazing cards, including Ghoulcaller Gisa, who we will revisit in a minute. You get some hype about the deck, and that’s about it. Here are the contents. 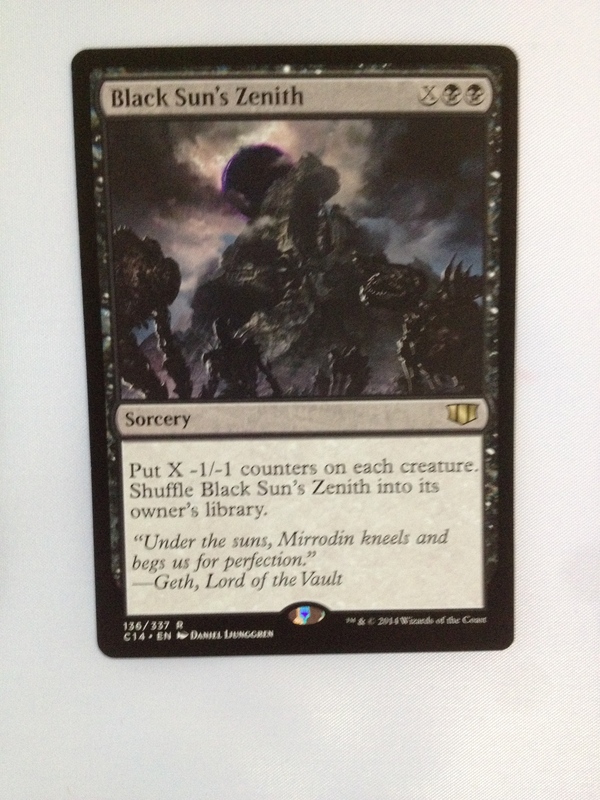 Notably, this time, you only get one oversized foil card. You get the same kind of deck box that we’ve seen before, which is really pretty nice. All five of my others have stood the test of time! 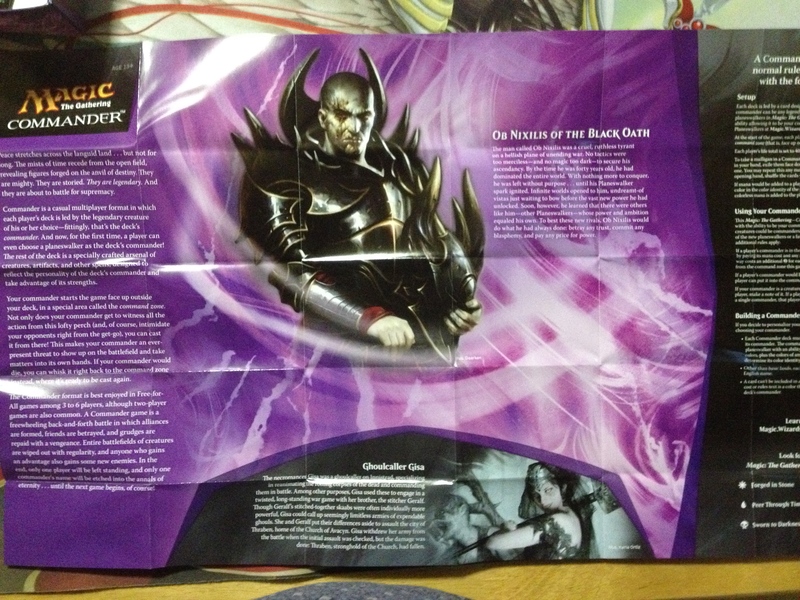 You also get a guide to the deck, a general guide to playing Magic, (But commander is a variant, so…) And then you also get the deck of course. It’s cool that you get Ob Nixilis’s emblem on top. When you get the cellophane off of the deck…first you get a ton of tokens on top! 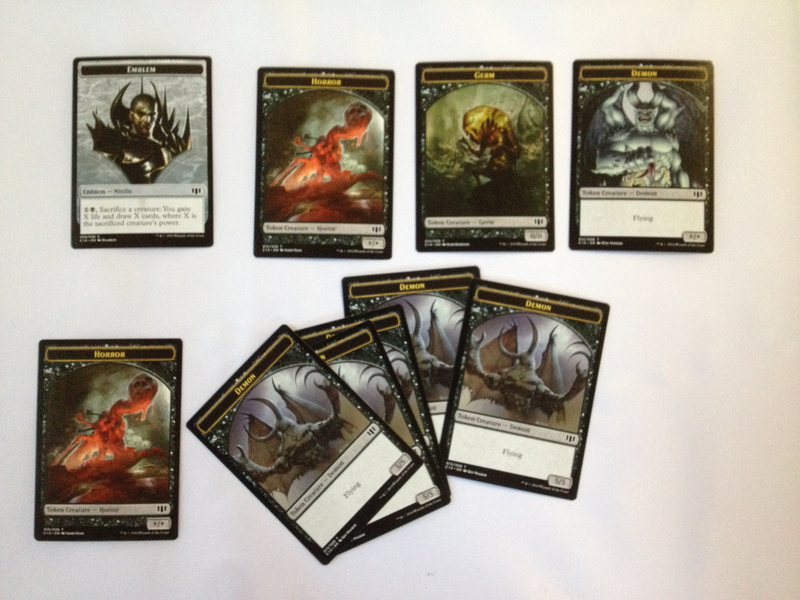 But this time a new twist….DOUBLE SIDED TOKENS! Great Idea, Wizards! The backside of all of these cards is a Zombie. Alright already! What does this deck really do? There are so many rares…I’m not even sure how many. Most of the cards in this deck! 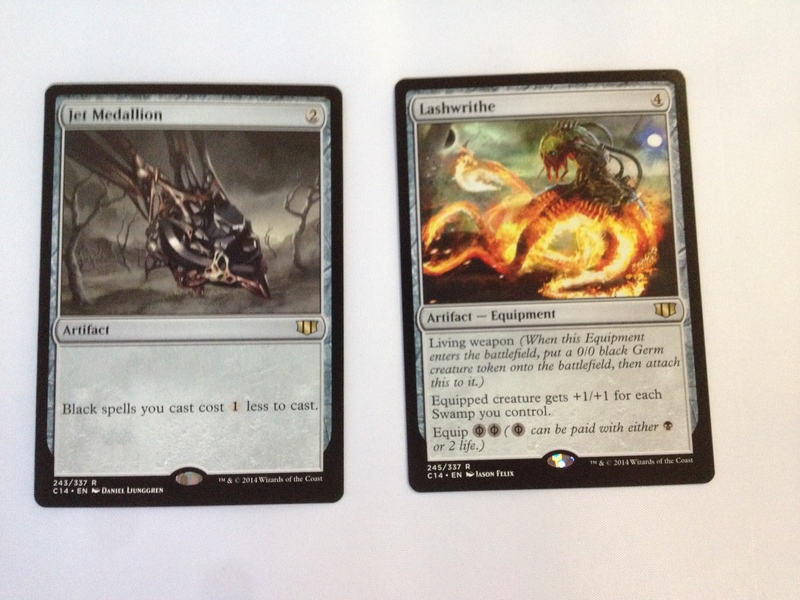 I am going to present the cards as pictures with some commentary where appropriate. 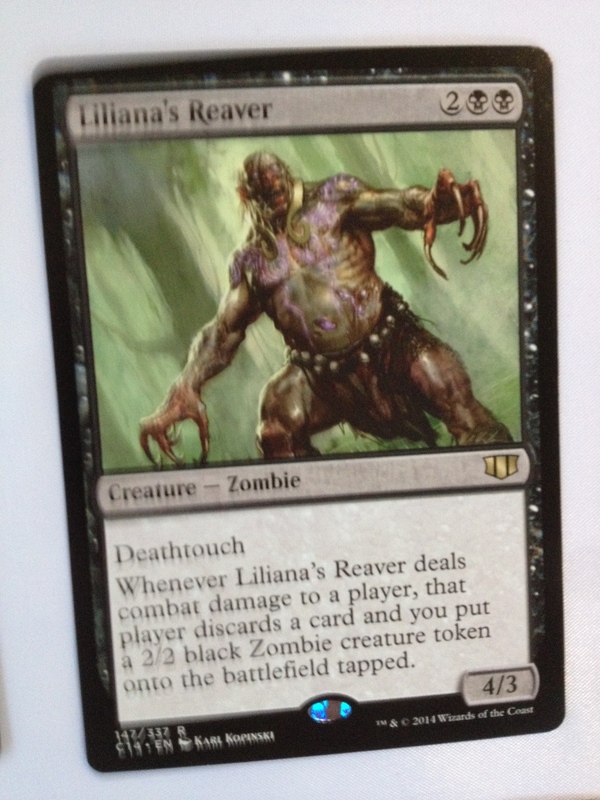 Ghoulcaller Gisa is a great sac outlet, and a way to get zombies out and over-run your opponent. And this deck has plenty of fatties to sac! (Anyone else notice that her initials are “GG”? Then there’s Drana, who can destroy anything and swing in for nasty damage. She really punishes large creature strategies. But also she can be pumped by targeting your own creatures. GG and Ob Nixilis are the two most obvious commanders for this deck. 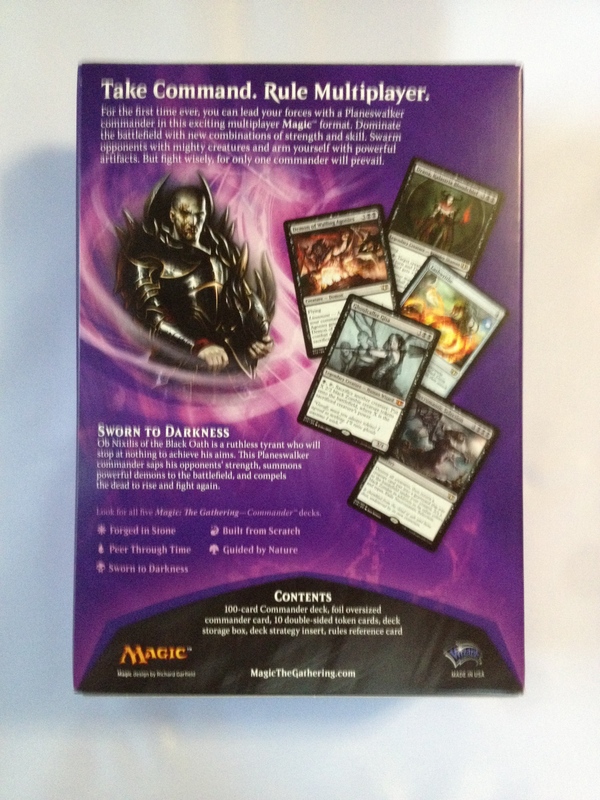 It is good that we get Gisa in case some players object to the Planeswalker as a commander. Morbid is some of what makes this deck fun! 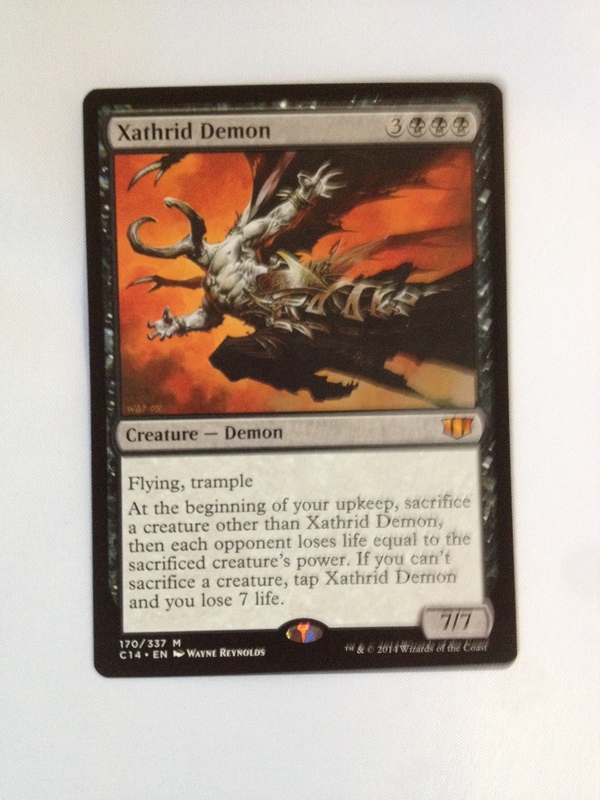 Here you get a 5/5 black demon with flying if something died this turn. 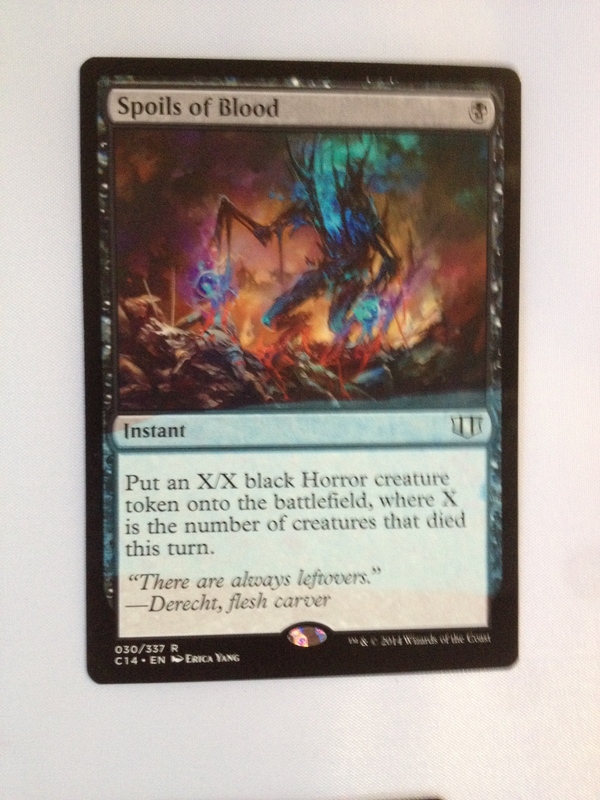 And lots of things die with this deck, either to kill spells, in combat, or being sacrificed! I can’t say enough about Lashwrithe. If you get this on the field, then just pay two life to equip it, you make a creature with huge power. 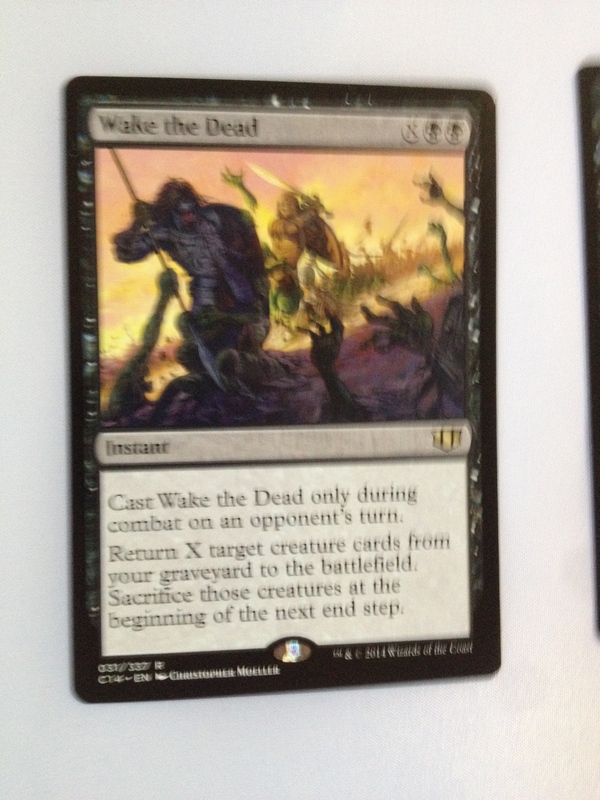 And then sac it with Gisa…BAM tons of zombie tokens! Wow. The first command I own! I really don’t like the art on this one. Look closely…. You get a suite of sweepers! The more stuff dies, the better creatures tend to get in this deck! Check out the next four cards. 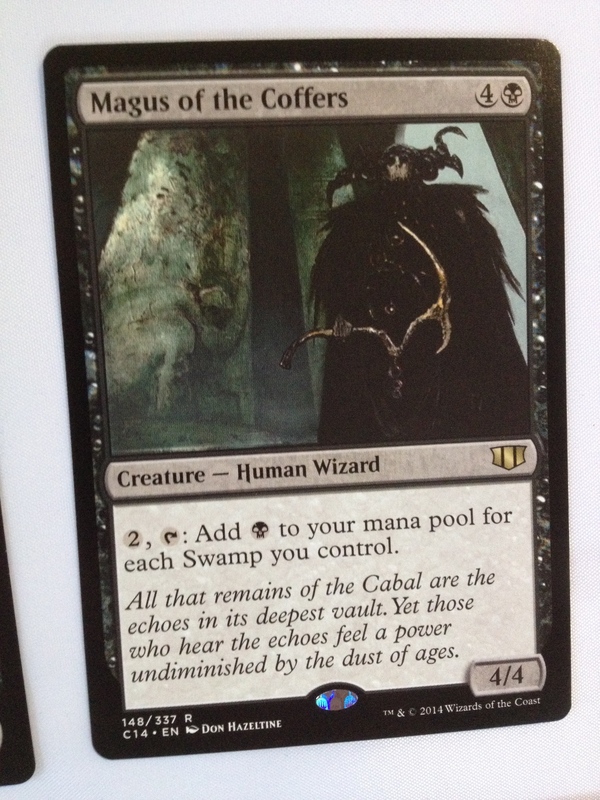 Sadly, I find the first major quality control issue I have ever seen in a new Magic the Gathering product. 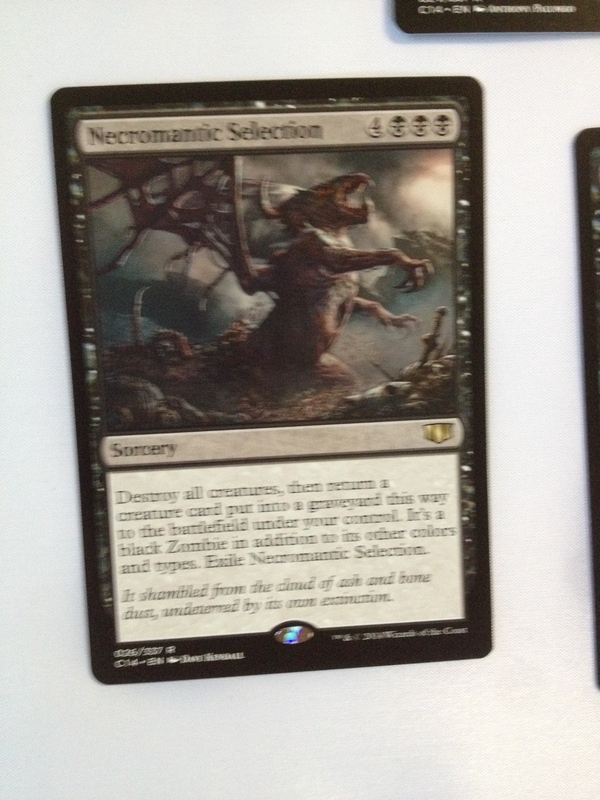 I’m sure there is some machine somewhere that prints these cards and assembles the decks in a uniform order. The machine must have been malfunctioning. 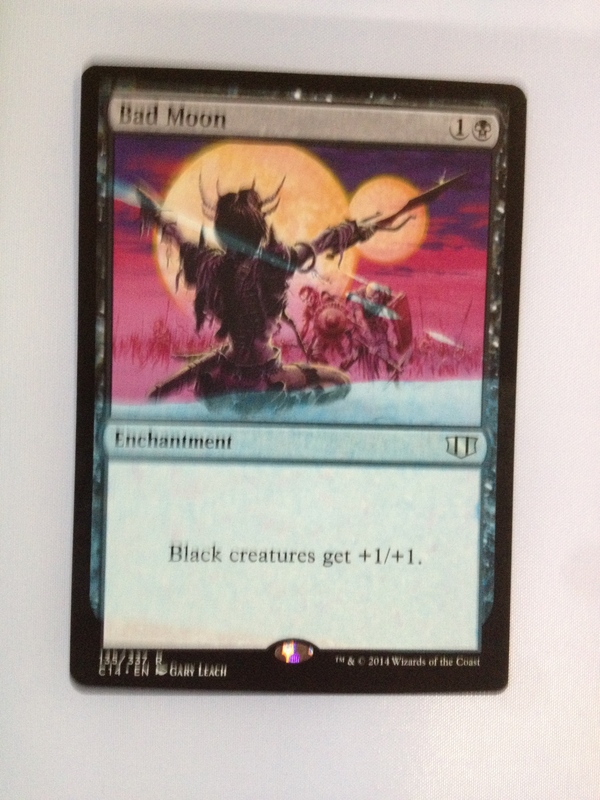 All of the cards, fromPestilence Demon through Bad Moon had a blueish ink spot on them. 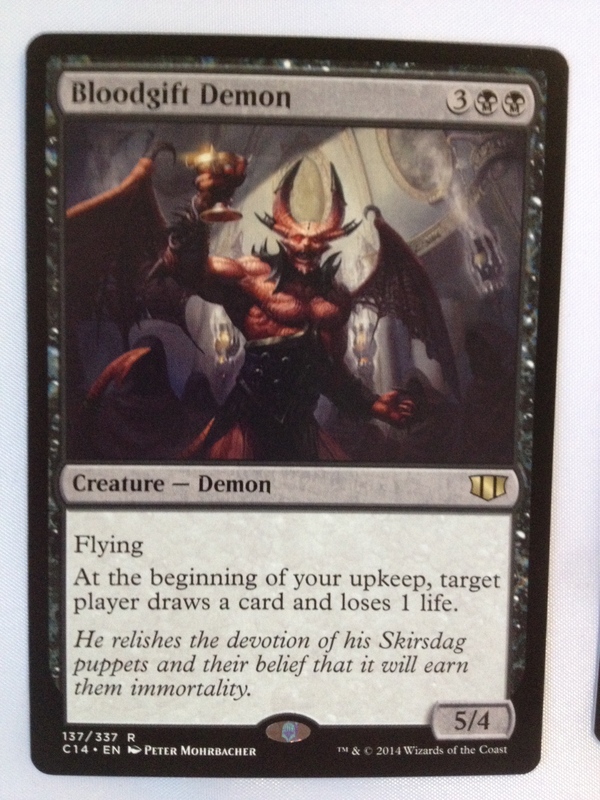 At first I thought it might be part of Pestilence Demon’s art…it made it look extra pestilence-y. 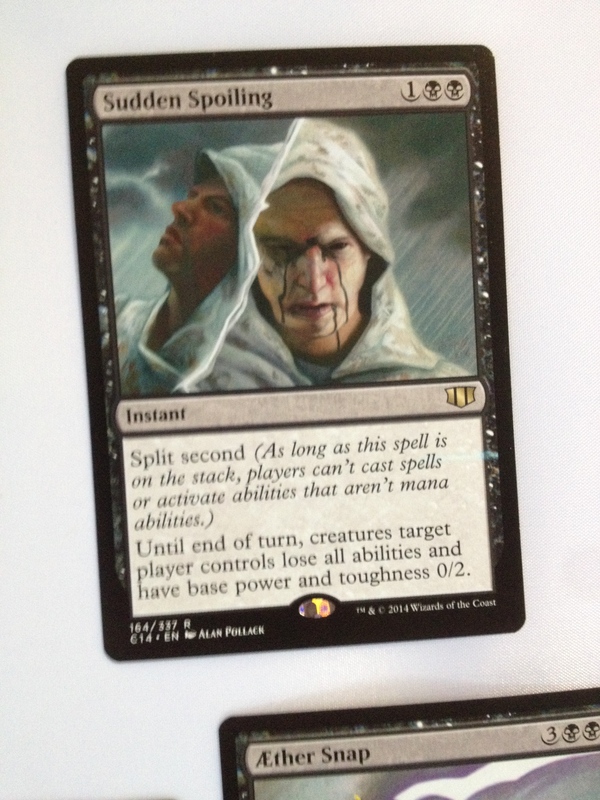 But apparently not after seeing the same smear on the other cards. What? The D-word on the SpartanNerd blog? 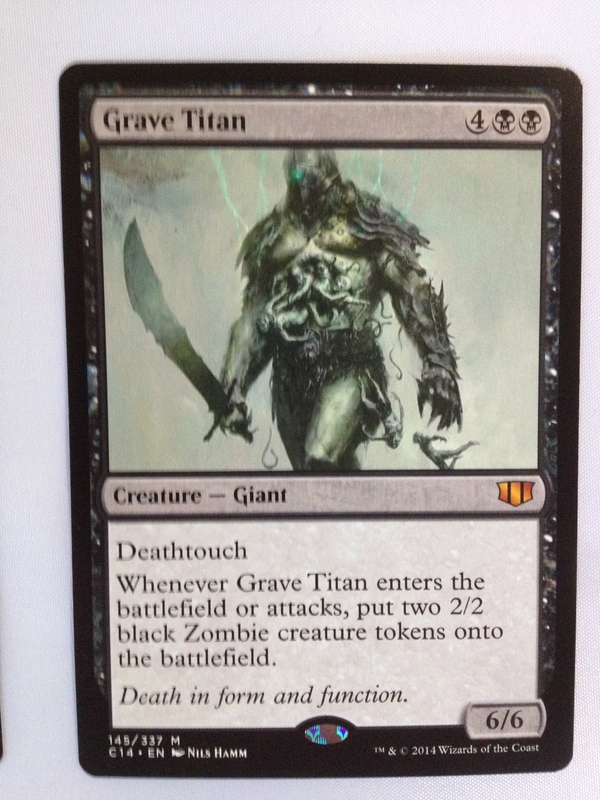 GRAVE TITAN! Someone somewhere has read where this is one of my top three favorite cards! It is one of the first rares I ever pulled from a booster pack! It continues to be amazing! 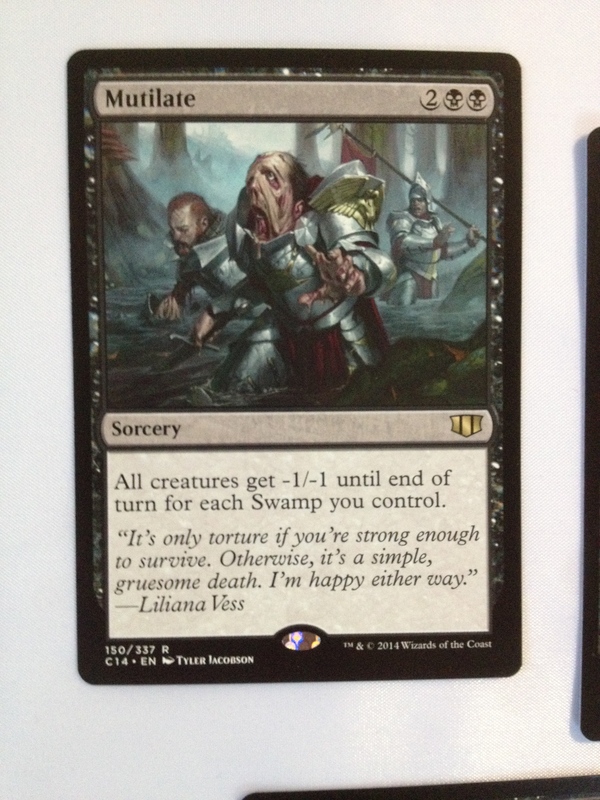 Luitenant…a new mechanic for this set. 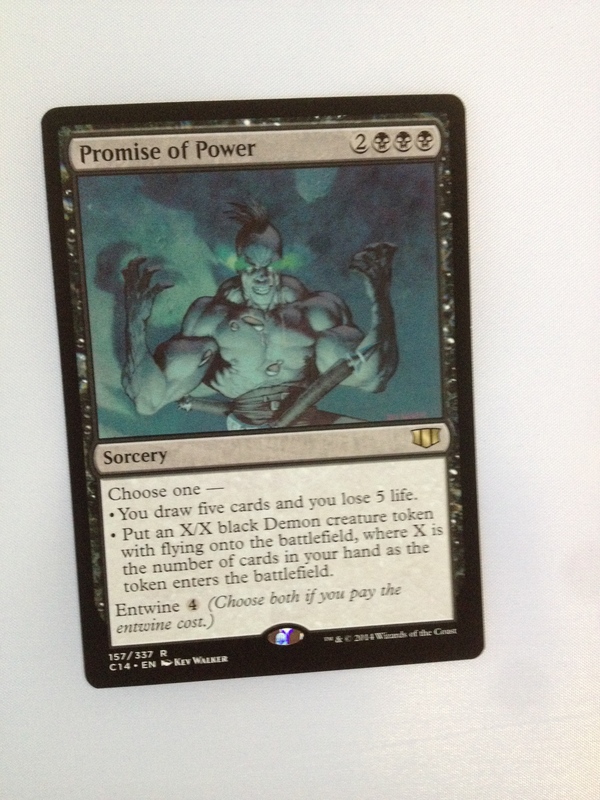 It is way better than “tempting offer” in the last set. Here is the opposite of Platinum Angel! My first matchup was great because it was against a largely vanilla Prossh, Skyraider of Kher deck, from Commander 2013. The matchup was about an hour and fifteen minutes long. Prossh tries to get tokens on the battlefield and then sacrifice those to make stuff bigger. Most of those tokens are chump blockers. Eventually, I barely lost. Both of us were drawing cards and finding win-cons. Prossh was just more ready at the right time. 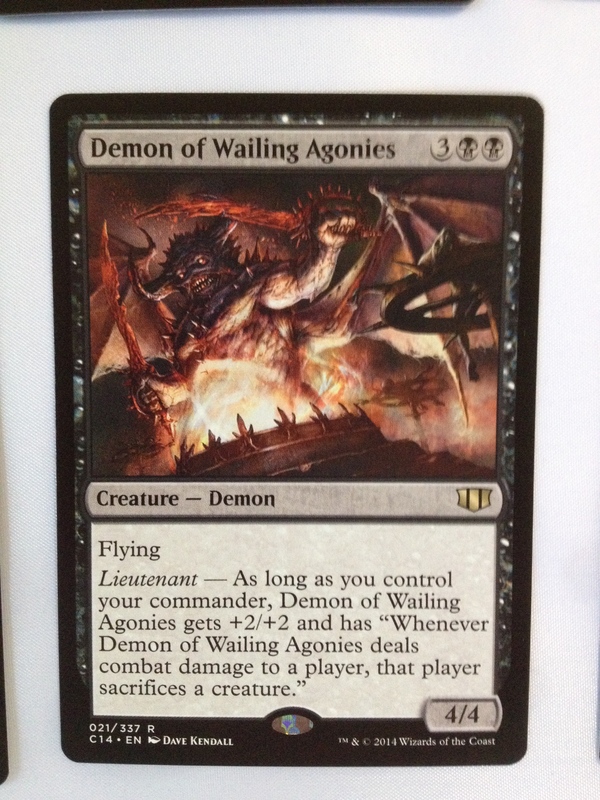 Ob Nixilis’s ability to get out 5/5 flying demons is killer! You can do a lot with those. Big flyers. Sacrifice them to get card draw or beef stuff up. Block chump flyers. Or pile up and attack! The +2 drain ability is the almost irrelevant part. I never got to ultimate him, so haven’t tried out the emblem thing yet. 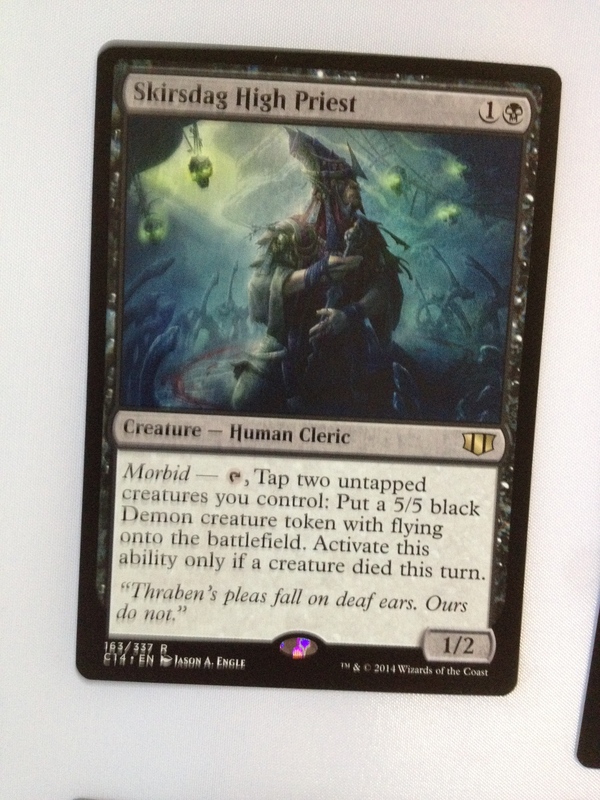 The Prossh deck made a lot of irrelevant tokens. I was able to sweep those several times, while the 5/5 fliers lived on! I was able to remove Prossh and other baddies by bouncing Shriekmaw a few times, at least once with Profane Command. Also, Drana’s ability is a great removal. In my second match, against some kind of hexproof deck, I had mana screw. 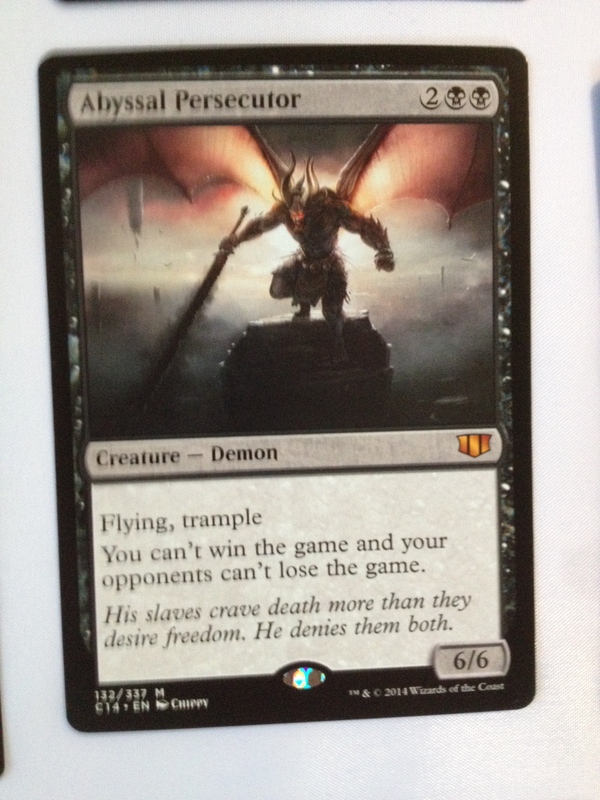 The thing about this deck…It wants to have at least five mana. So OH WELL! The third match was against a Karn Silver Golem deck. My opponent was able to get out all kinds of nasties. Platinum Angel was one of them, Cranial Plating was another. And lots of Myrs, and a Bonehoard. I won this match, though. This time I made Gisa my general, and I think I will use her from now on. She is AMAZING in this deck! 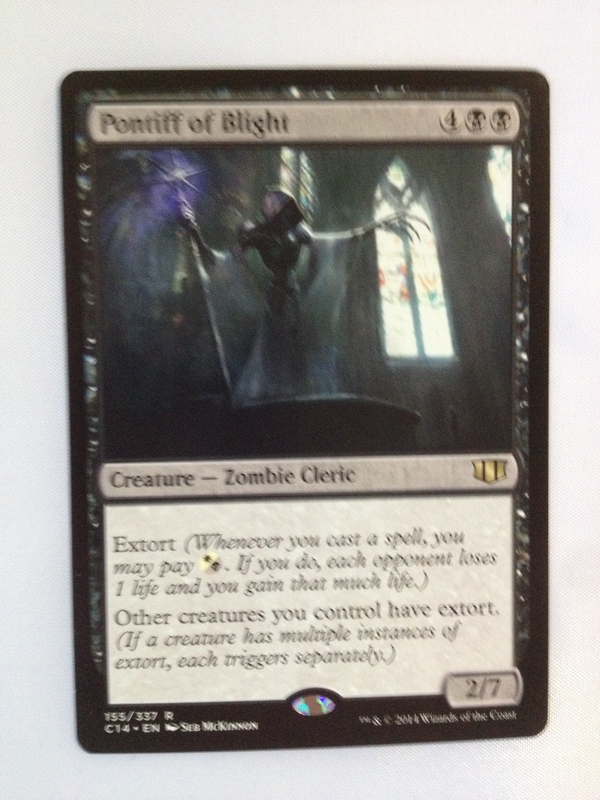 I think she might have moved up on my list of favorite cards. 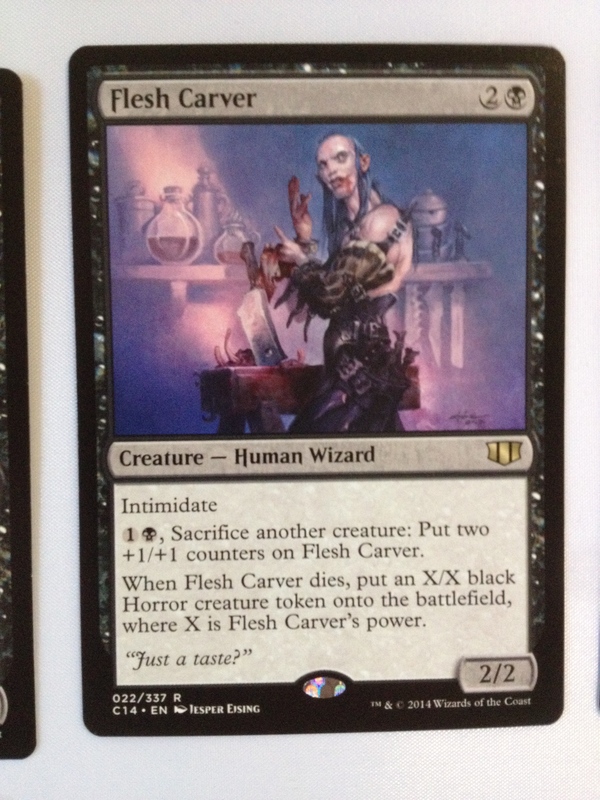 Her ability, pay a swamp and sac something for 2/2 zombie tokens equal to the sacrificed creature’s power, isn’t anything to sniff at. Especially when you are making 5/5 demons pretty regularly, equipping Lashwrithe on something pumping its power big time, or other things. In fact, you can just start a chain reaction of zombies, if you think about it, if you start with sacking one zombie, then you get two. choose one of those, then you have three. Get it? She is amazing. And this deck was able to overrun that wimpy affinity thing. 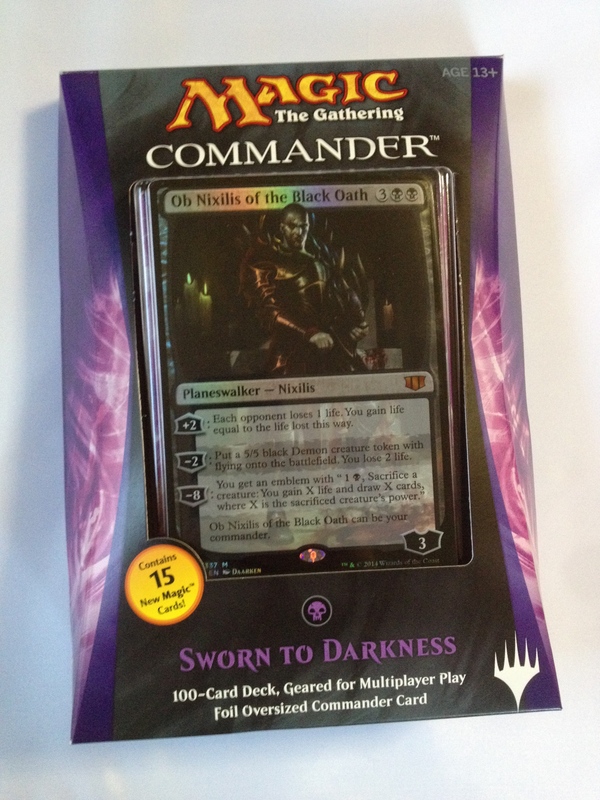 Of the many official Commander decks I have seen, I think Sworn to Darkness stands a head taller than them all! I would give it a 6 out of five if I could. 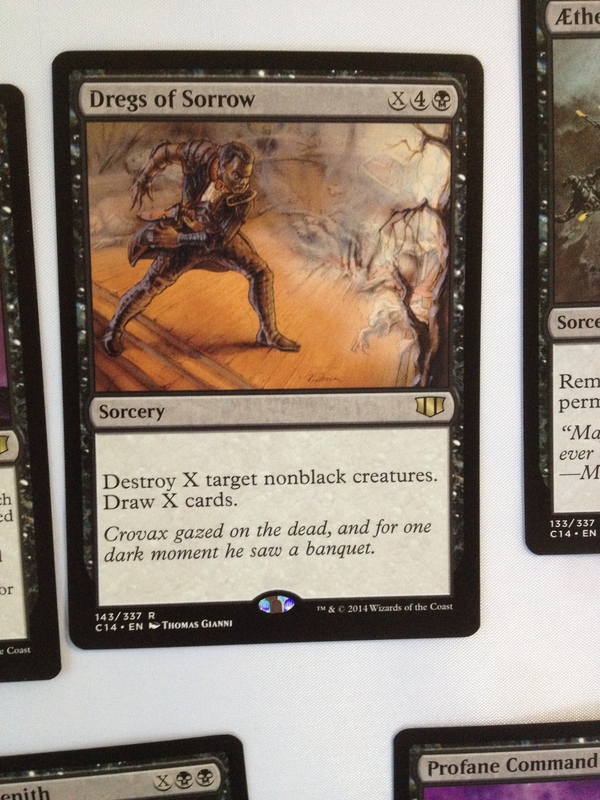 the only thing I found wrong is the little misprint that was on four or five of the cards. I will keep my readers posted on how or if the Wizards make it better for me somehow. 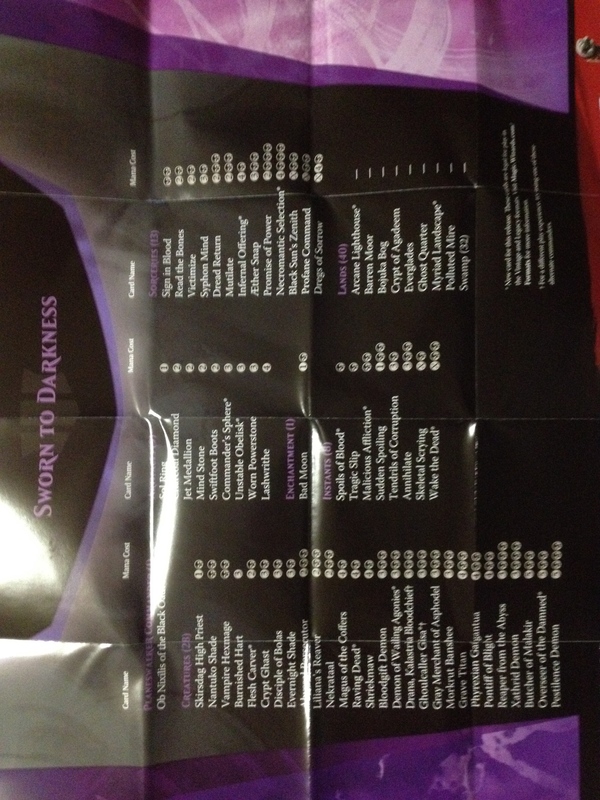 SO I RATE “SWORN TO DARKNESS 5/5. DO you agree? Let me know in the comments! I took “Sworn to Darkness” to the sealed deck two-headed giant tournament at the Tangled Web this past weekend, and got to play some multiplayer with this deck. The mana-hunger of this deck is no joke. And that seems to be where it is weakest. On the other hand, sitting without that much land to do things makes you less of a threat. I chose Ghoulcaller Gisa as my General. People were surprisingly unfamiliar with her. 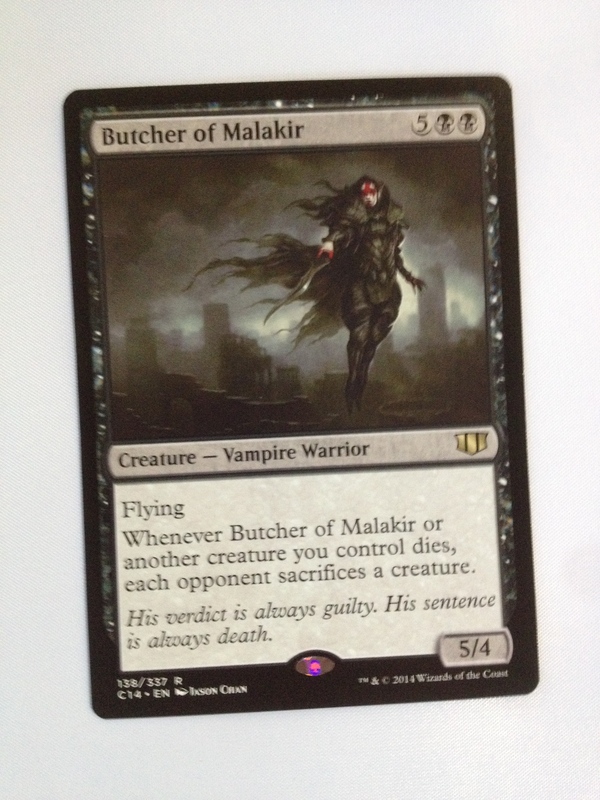 (The other commanders were Freyesa, the green planeswalker from this set. Narset from Khans, and Derivi from last years set.) Anyways, the green Planeswalker guy scooped early, frustrated because he “washed out” all of the islands, making the other two players choose him as a target. This gave me plenty of time to bake my strategy. 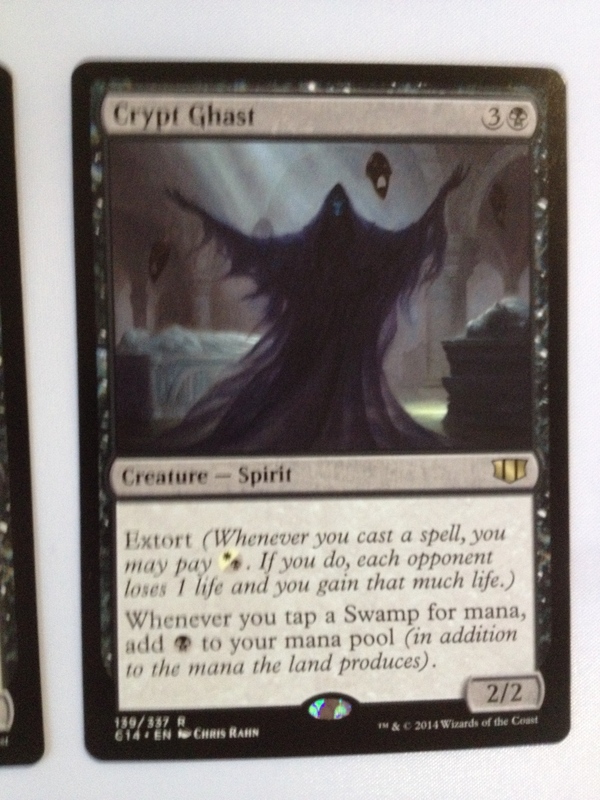 The surprising card of the day was “Crypt of Aberdeen.” That card produced insane mana as creatures were hitting the graveyard due to their sweepers, etc. Once I had Gisa and Drana on the battlefield at one time. Could you imagine! Before I could activate the combo and load the board with zombies, they were both killed off! Gisa was cast no less than five times, thanks to that cool little land. The other surprising card is Shriekmaw. Because the deck reanimates things so readily, I was able to get several creatures destroyed with his enters-the-battlefield trigger. 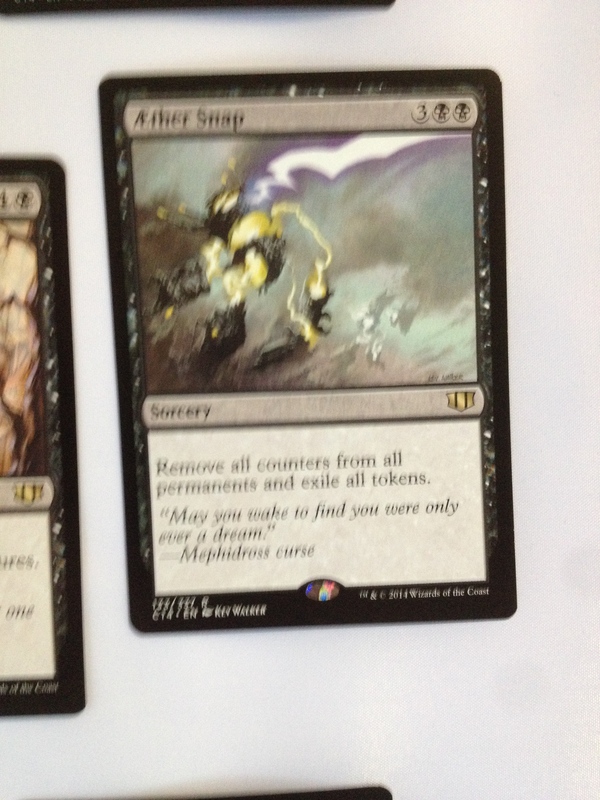 One more big surprise…Aether Snap! 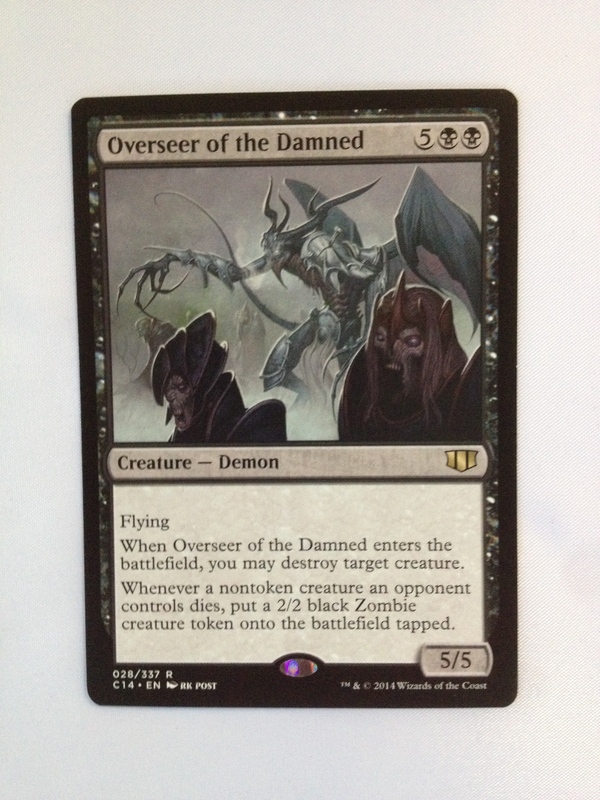 This kills off stuff with counters, including Planeswalkers! Someone had a Gideon out attacking people. Aether Snap put an end to that! I wound up losing this match being next to last. 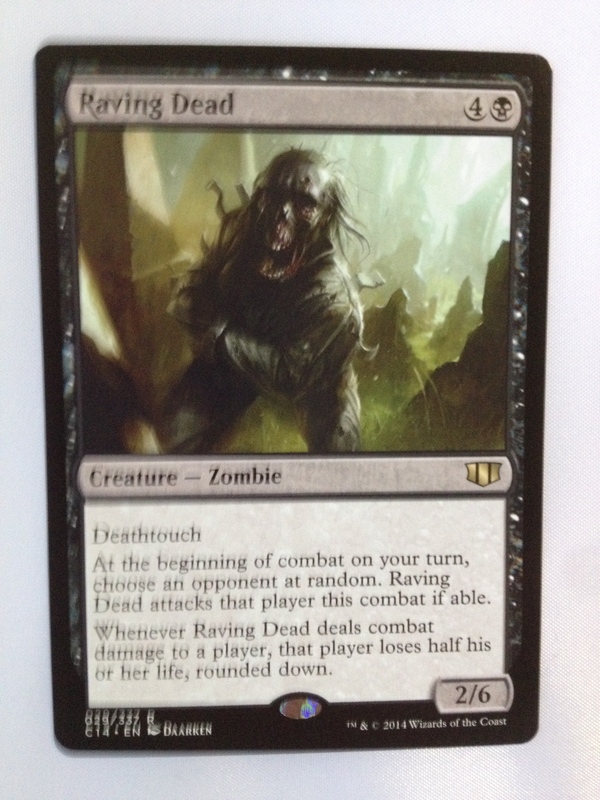 My opponent put Raving Dead under Mimic vat, and began attacking me with multiple copies. 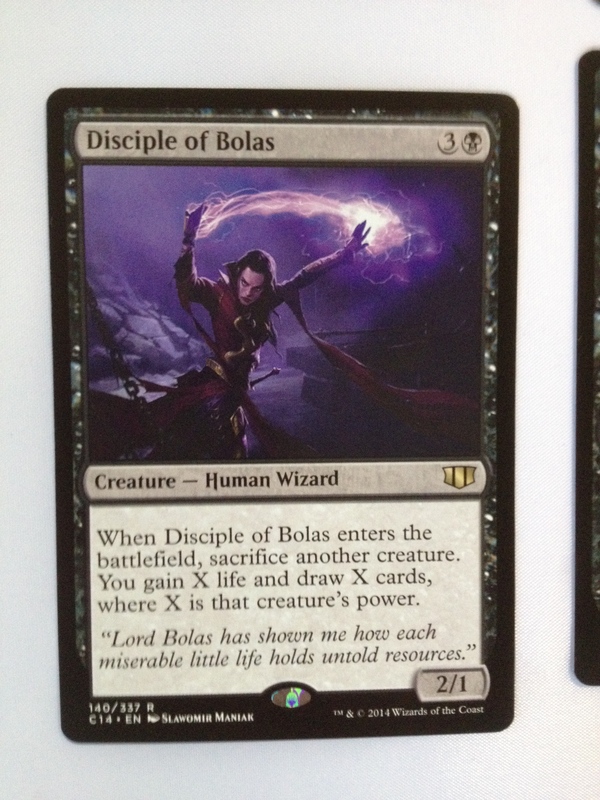 Cards like that in the other set have also proven to be risky…(I’m thinking about Serra Avatar in Oloro. Ageless Ascetic’s deck.) The deck was fun and held up, so once again, very satisfied! I have since swapped a few cards. I removed one of the lands and switched to Reliquary Tower…this deck gets enough card draw that it might be useful to hold cards. 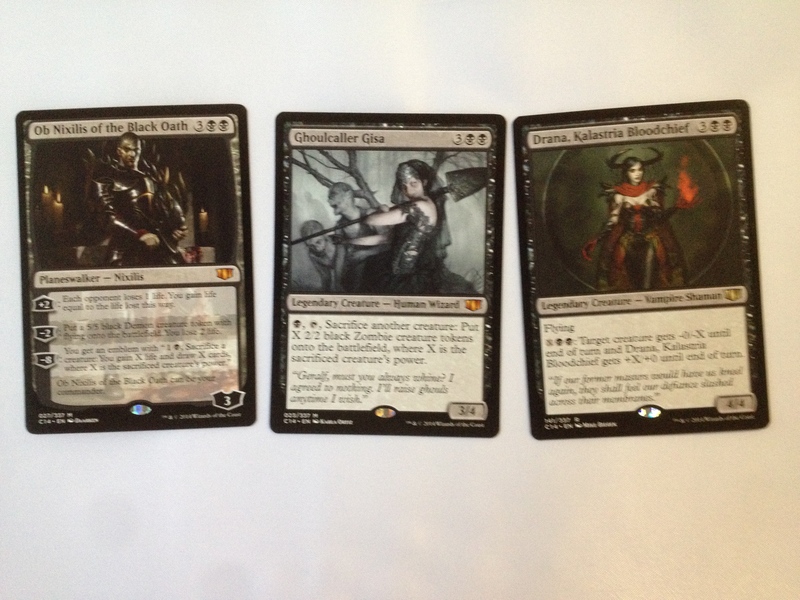 On the other hand, ditching cards in the graveyard fuels stuff up…I swapped “bad sol ring” out for Elbrus, and added Lilliana Vess and Lilliana of the Dark Realms. Someone asked me about Ob Nixilis Unshackled. I DO have a copy, and might consider adding him. My opponents were cracking fetch lands, so Ob Nixilis Unshackled’s ability would have been useful! Can’t readily remember the other swaps. But They were cheaper to cast, and involved zombies, usually. One more thing. 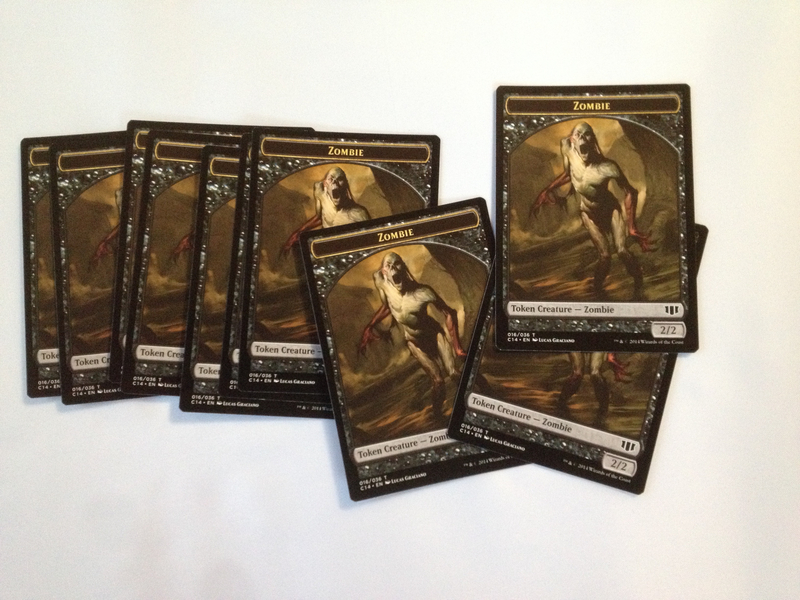 People were really interested in the misprinted cards, especially Pestilence Demon. I was encouraged to hang on to them, as the aftermarket value tends to be pretty high nowadays for such cards. The wizards don’t let that stuff slip out too often anymore. 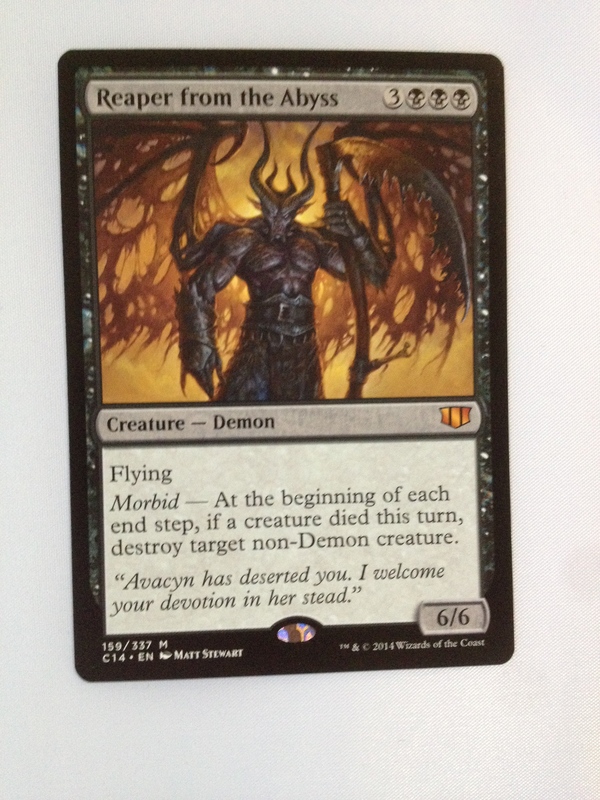 Even more so since it makes the Pestilence Demon look even cooler! So I won’t be sending them in, Hub City Geeks.